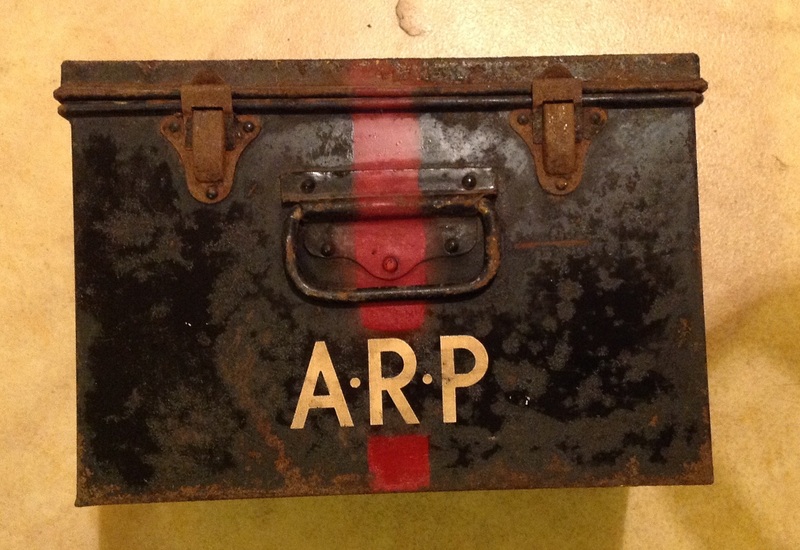 This large metal tin box is typical of those issued to ARP posts up and down the country with a basic first aid kit in. 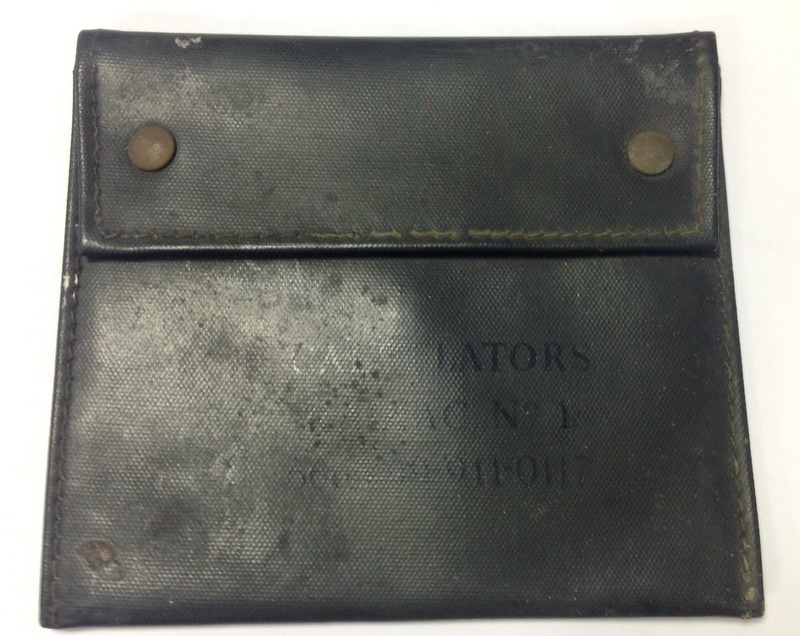 The 1939 dated box is 11”x7”x8” and is made of (sadly slightly rusted) black enamelled metal. 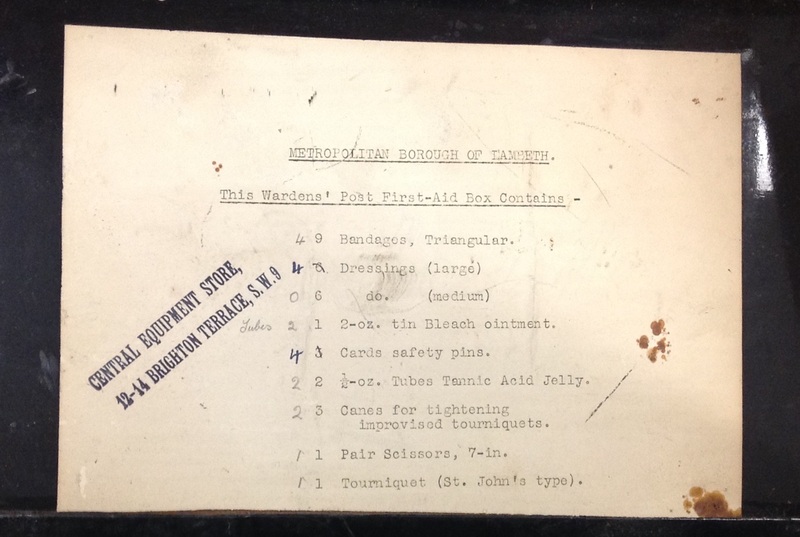 These boxes were produced in their thousands and would originally have housed dressings, ointments and other first aid supplies to deal with casualties from bombs and gas. 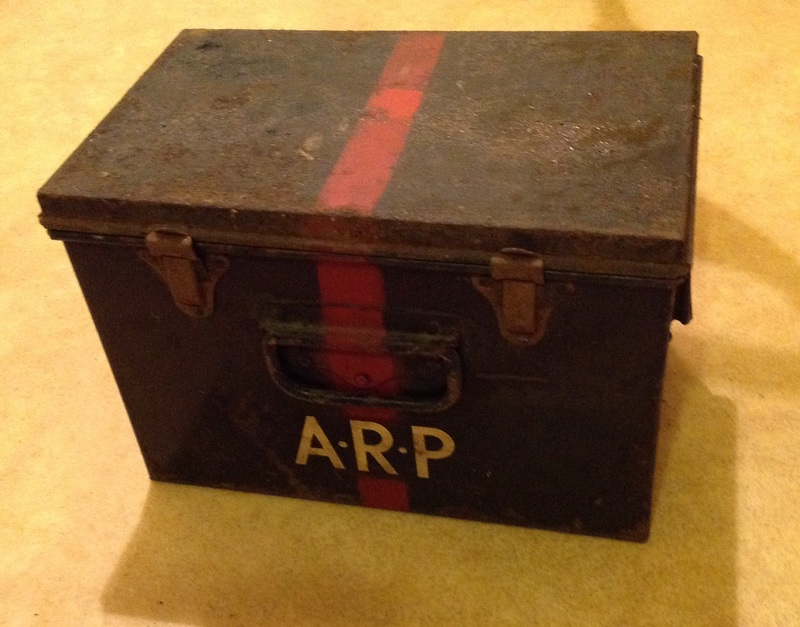 One imagines that if this box was used in Lambeth there is a high likelihood that it was used in anger, due to the high level of bombing in London throughout the war. 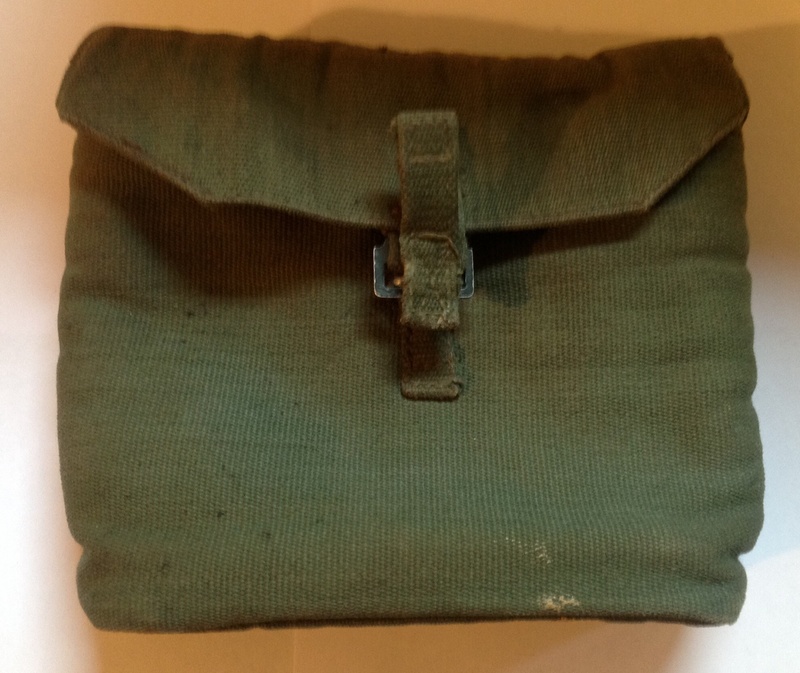 It was made by Johnson and Johnson and it seems that this type of dressing was used both by civilian services and included in military first aid kits. 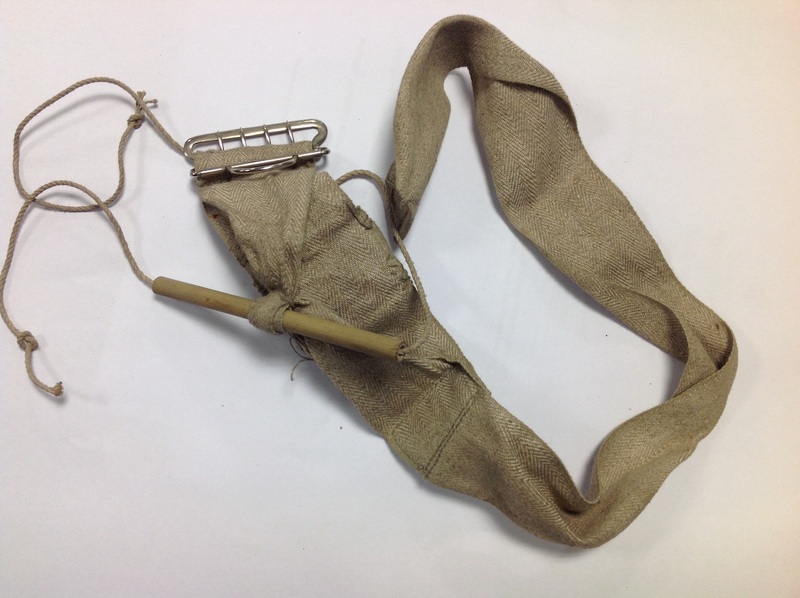 A buckle is used to fasten the tourniquet, and a bamboo stick can be wound to increase the pressure and prevent blood flowing. 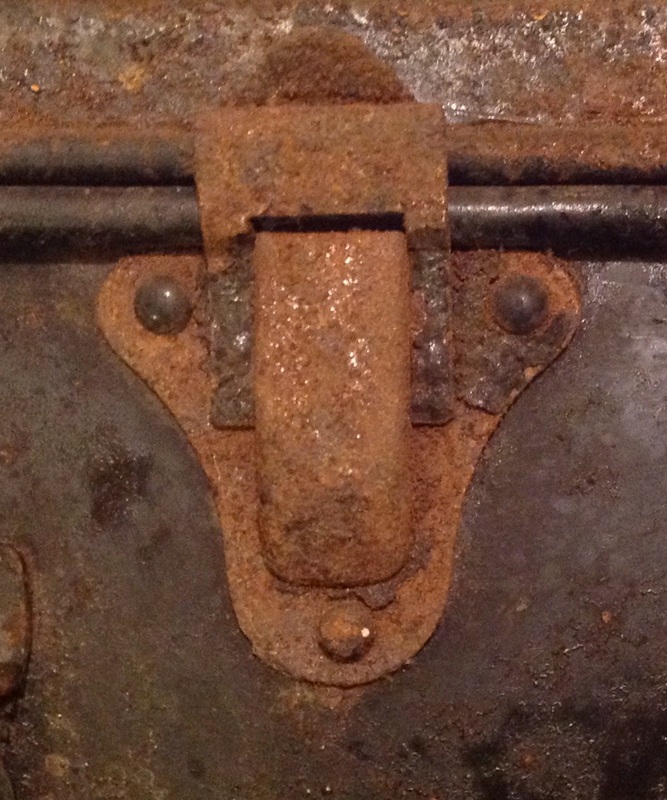 This entry was posted in ARP, India, Latest Pick Ups, Photograph and tagged first aid kit, metal tin box on September 30, 2014 by hatchfive. 1. Spare Respirator Canister- A spare canister for the respirator is carried inside the bag in a special pouch on the right hand side. These should be sealed to keep them clean and ready for use. This example is missing the foil sealing packet. 2. S6 Respirator- The first modern NBC respirator used by the British Army, the S6 was developed at Porton Down in the 1950s. It is made of soft black rubber, with a 40mm thread to allow a canister to be quickly screwed on. It was available in either a right or left handed version and has an elastic strap system to secure it firmly to the face. 3. 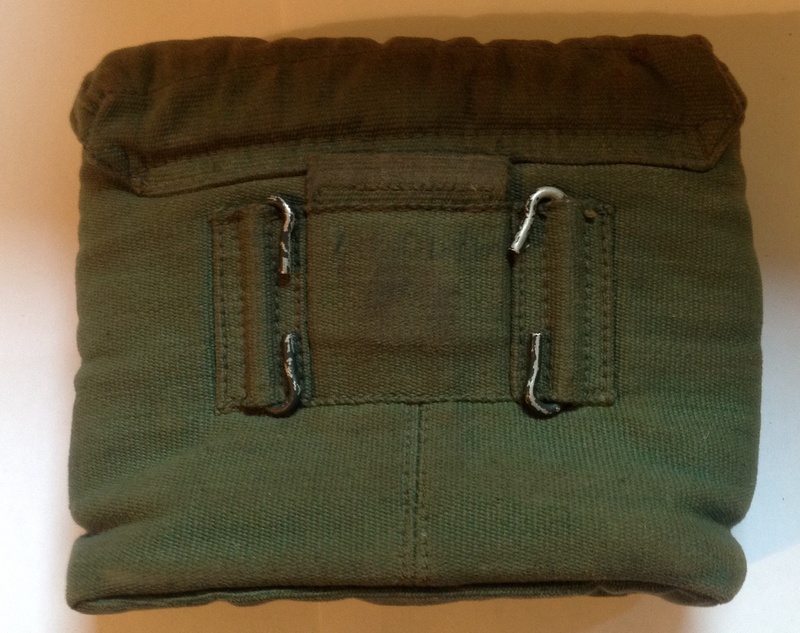 Haversack Mk 2- The haversack is made of a nuclear and biological agent resistant Butyl Nylon with pockets for all the contents. 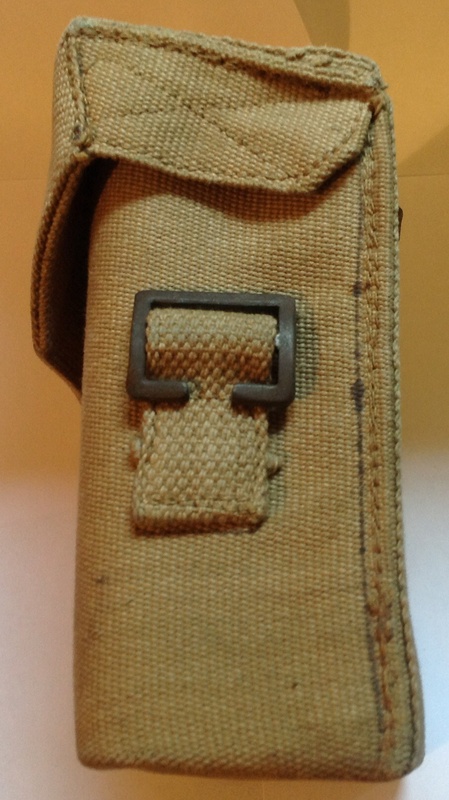 The bag has a strap for securing it over a shoulder and a belt loop allowing it to be worn on the 58 pattern webbing. 4. Detector Paper No2 Mk1 Liquid One Colour- This is chemically treated paper designed to be attached to various points on the suit, it changes colour and spots appear on it if a chemical agent is present. 5. Kit Decontamination No1Mk1 DKP1- This is a cloth pad filled with fuller’s earth used to decontaminate uniform and equipment. The pad is blotted on the chemical agent, turned over and banged to release the powder and then rubbed to absorb the chemical agent- ‘blot, bang, rub’. 6. 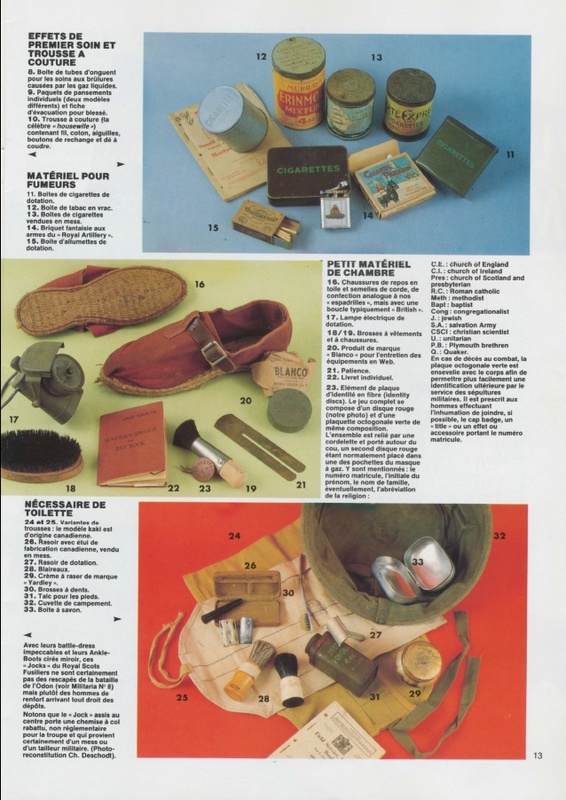 Survive to Fight NBC Manual- This is the 1983 edition of this simple picture handbook giving troops the basics they needed to know in how to survive and fight in an NBC environment. 8. Kit Decontamination No2Mk1 DKP2- This is a plastic puffer bottle filled with fuller’s earth. The bottle is designed to allow fuller’s earth to be blown onto areas that the DKP1 pad can’t reach. 9. 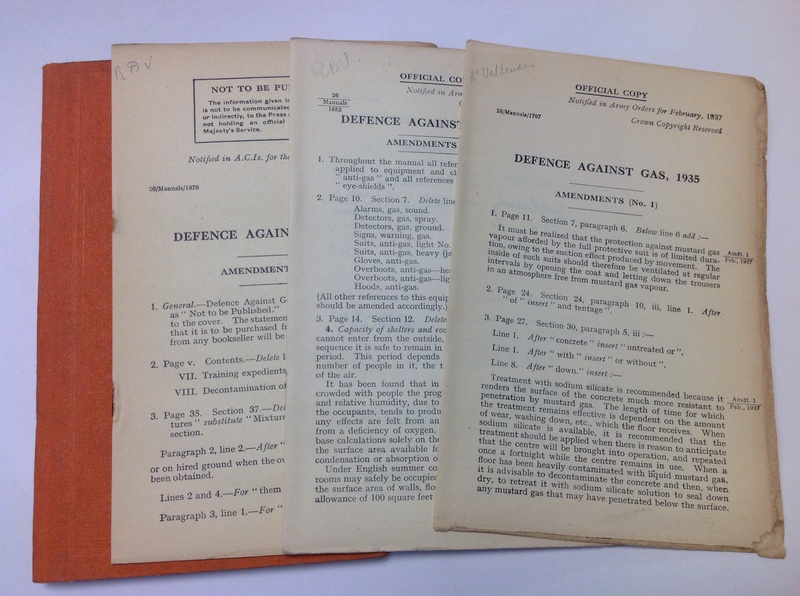 Anti Dimmng Tin- This little tin, unchanged from the second world war, contains an agent that can be applied to the eye pieces of the mask to prevent them misting up with condensation from the soldier’s breath. One end has the agent, the other a cloth to apply it. 10. 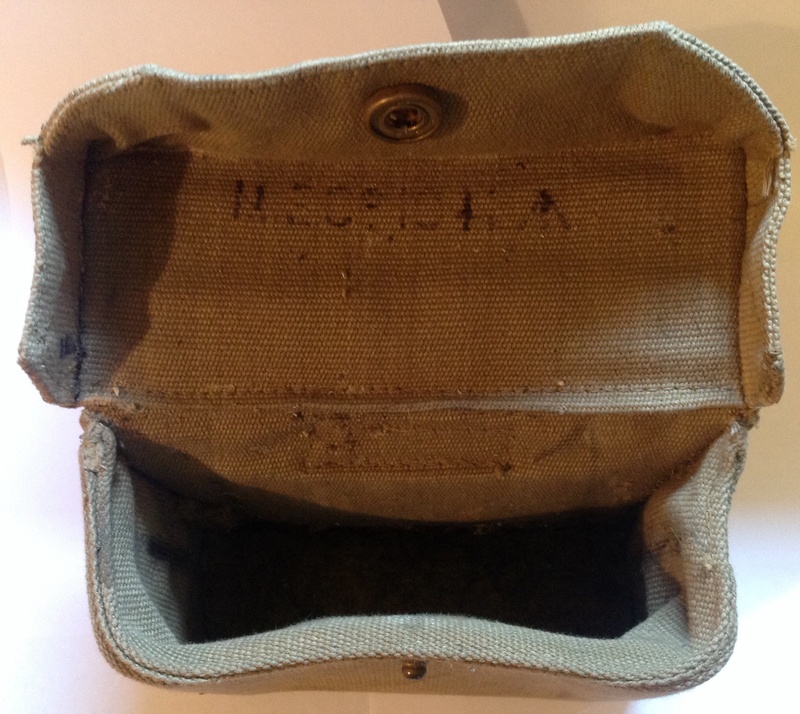 Gloves, Protective NBC Inner- These cotton gloves were designed to be worn under the outer rubber NBC gloves. They helped the wearer retain sensitivity under the heavy gloves . 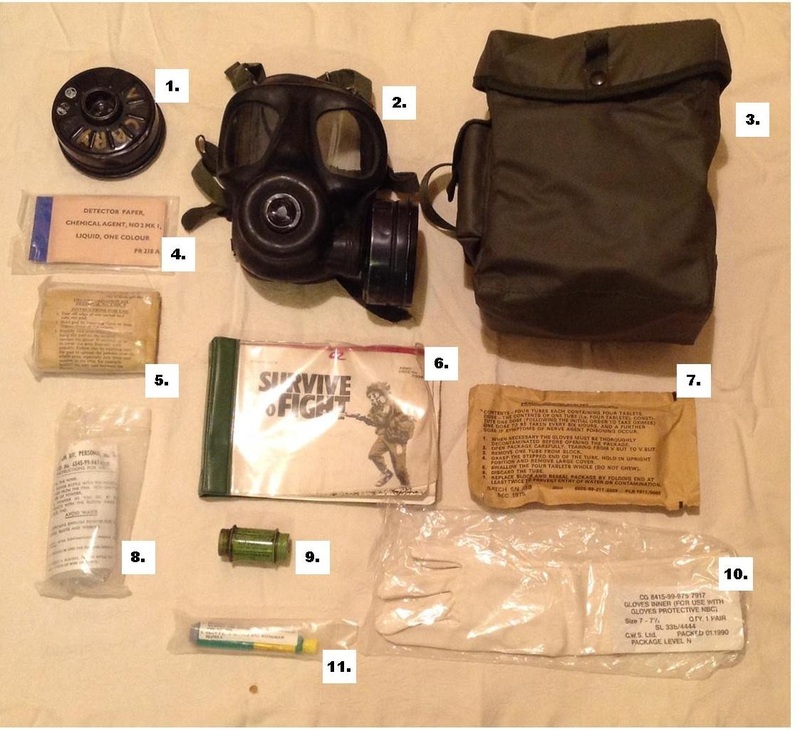 This entry was posted in British Army, equipment, Gas mask and tagged chemical agent, NBC on September 29, 2014 by hatchfive. 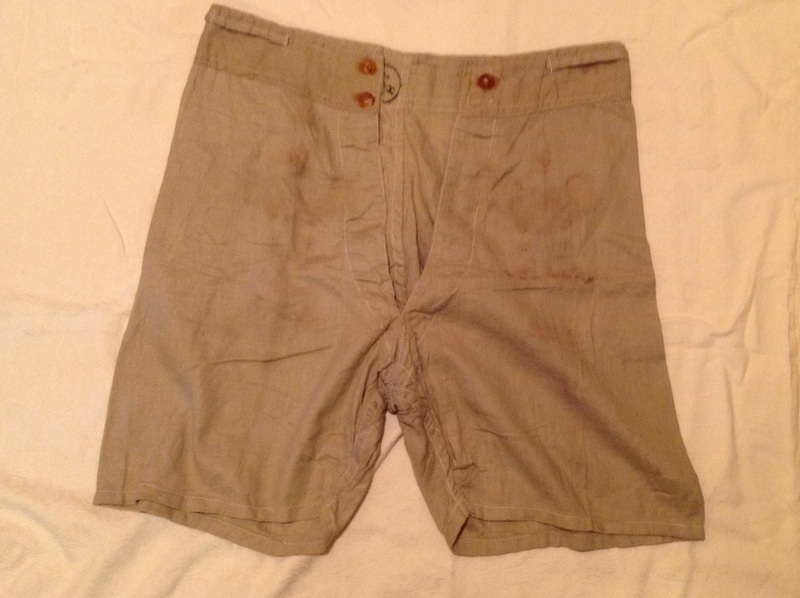 As a collector of Militaria, I have bought many weird and wonderful items for my collection over the years, many of which have made my wife think I need serious medical help, however these are perhaps one of the oddest items I have picked up. I haven’t been able to identify who this company was, so if anyone has any more details please let me know. 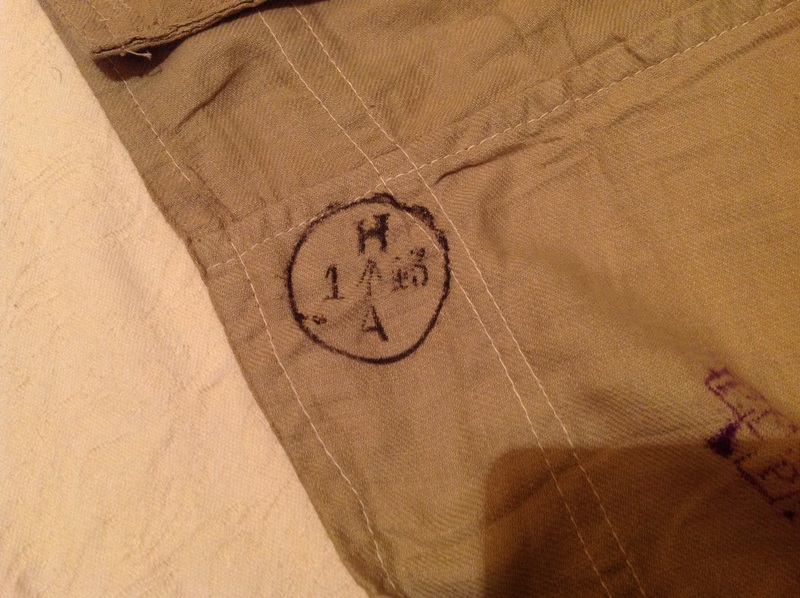 This entry was posted in India, Personal Kit, Uniform on September 28, 2014 by hatchfive. Today’s finds have a definite theme to them, chemical and biological warfare. 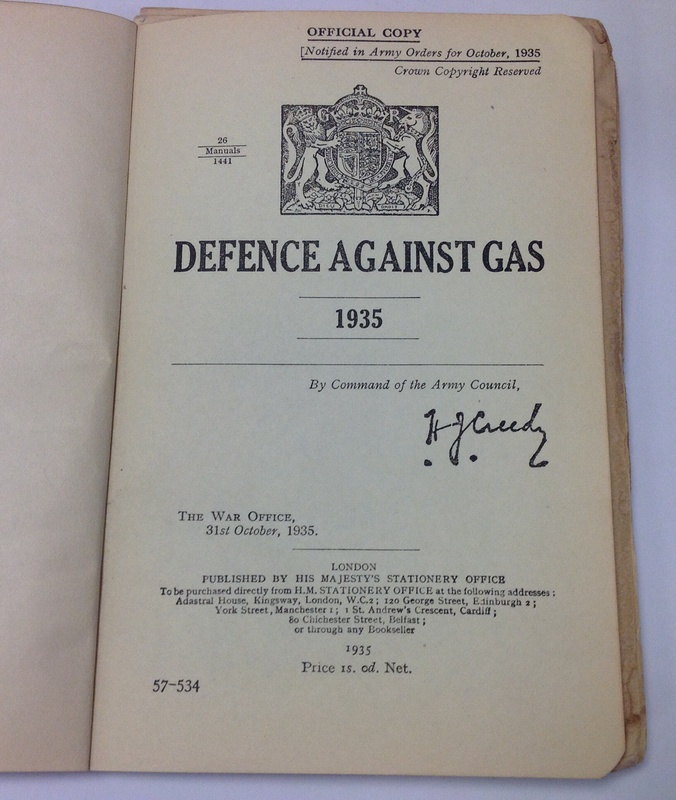 Since the First World War this form of warfare has caused terror amongst civilians and soldiers alike- despite any real evidence that it is an effective weapon of war. 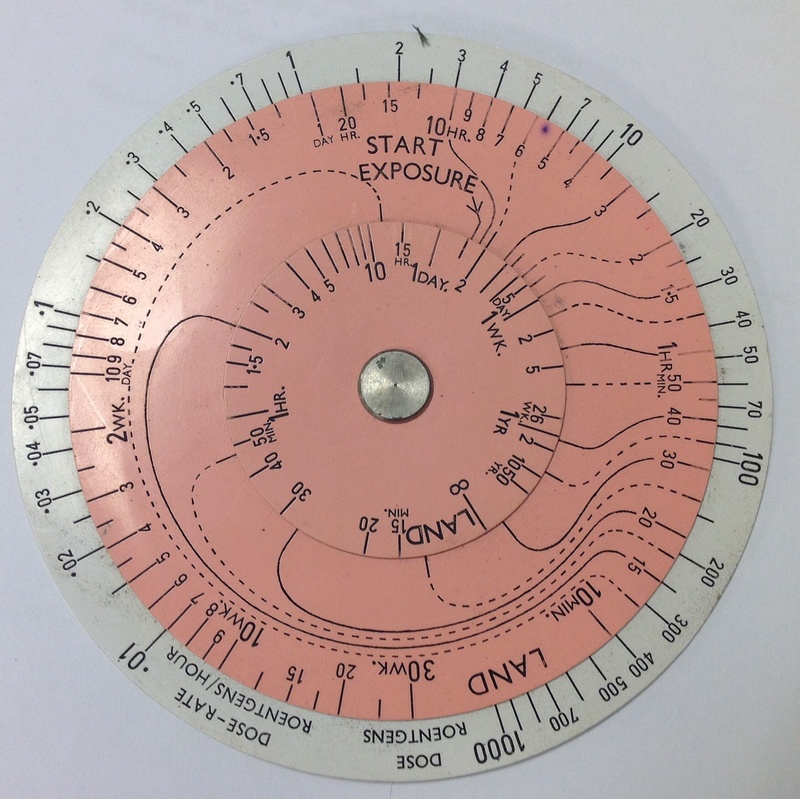 More details on the calculator can be found here: http://calculating.wordpress.com/2012/11/24/brl-radiac-calculators-1-and-2/ according to this site my calculator dates to the late 50s or early 60s. 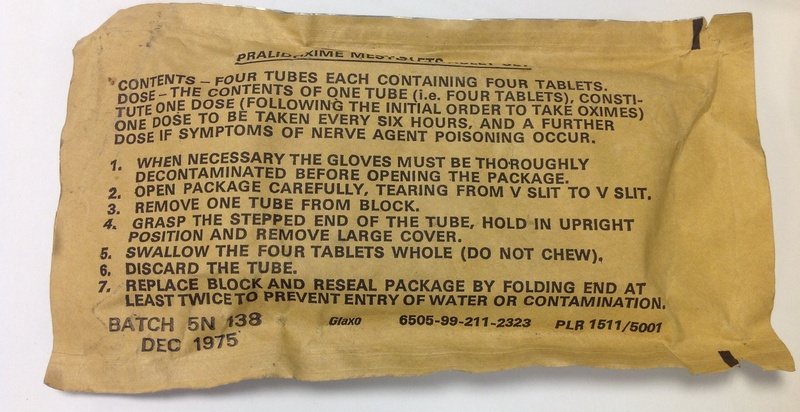 The pen is dated June 1976 and the contents worked against most phosphate based nerve agents. These pens are incredibly rare as most were handed back in and destroyed. I have never come across another one. Reassuringly the contents of both this pen and the tablets are more commonly used as medical treatments prescribed by doctors, however their use here illustrates a dark and frightening time in our recent past. 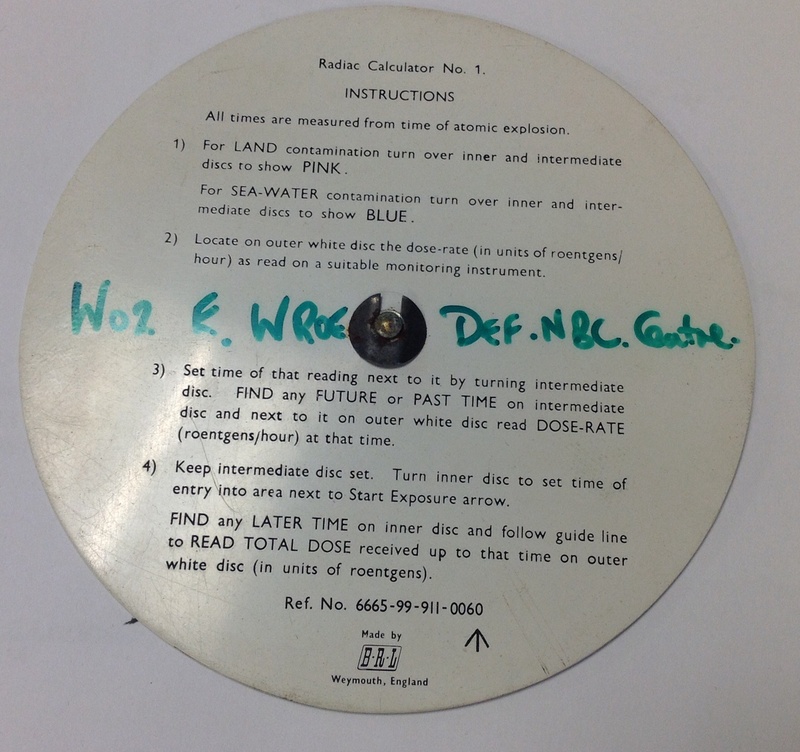 This entry was posted in British Army, Documents, equipment, Gas mask, Latest Pick Ups, Uncategorized and tagged chemical and biological warfare, Defence NBC Centre, mechanical calculator, NBC on September 23, 2014 by hatchfive. 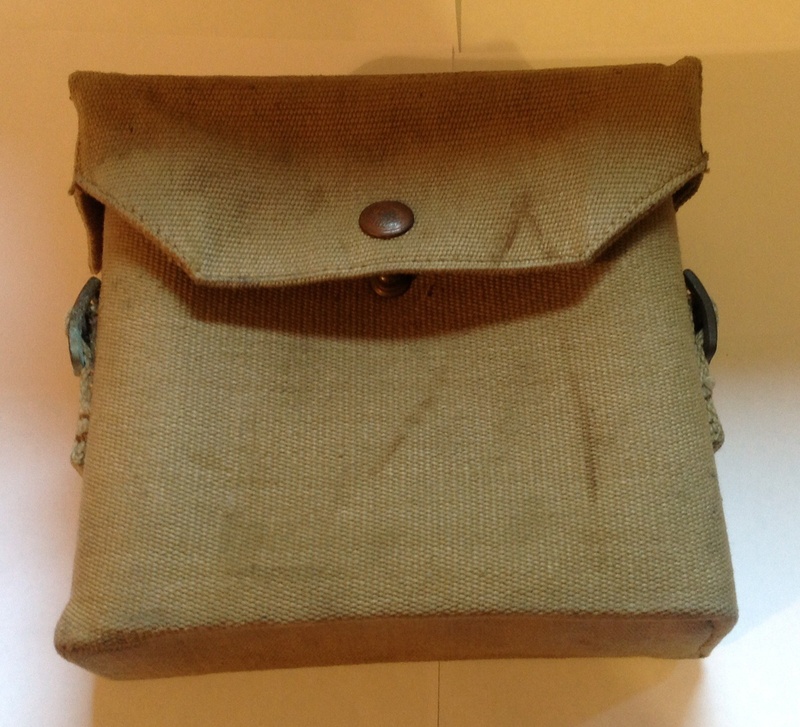 We have looked at British Binoculars a few times on this blog, however today we are going to consider the cases they went into. 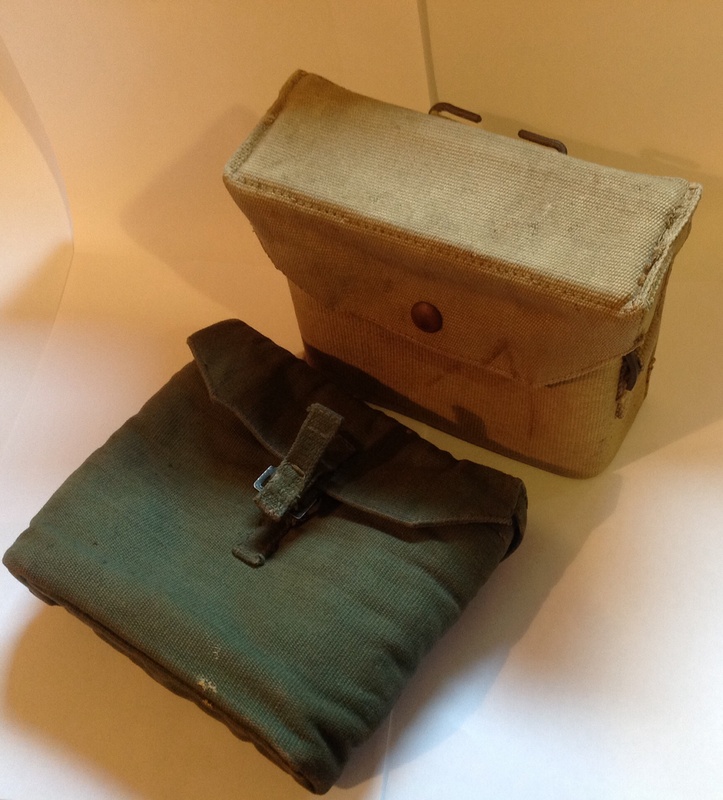 I have two binocular cases in my collection- a 37 pattern and a later 44 pattern example. 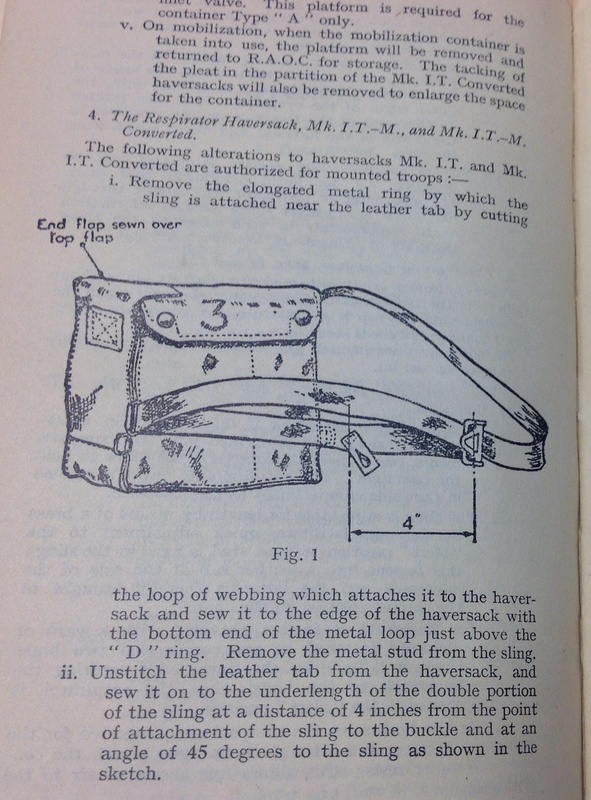 The similarities and differences between these two cases show the development of the two webbing sets, with the 44 pattern benefiting from the practical experience of the Second World War. 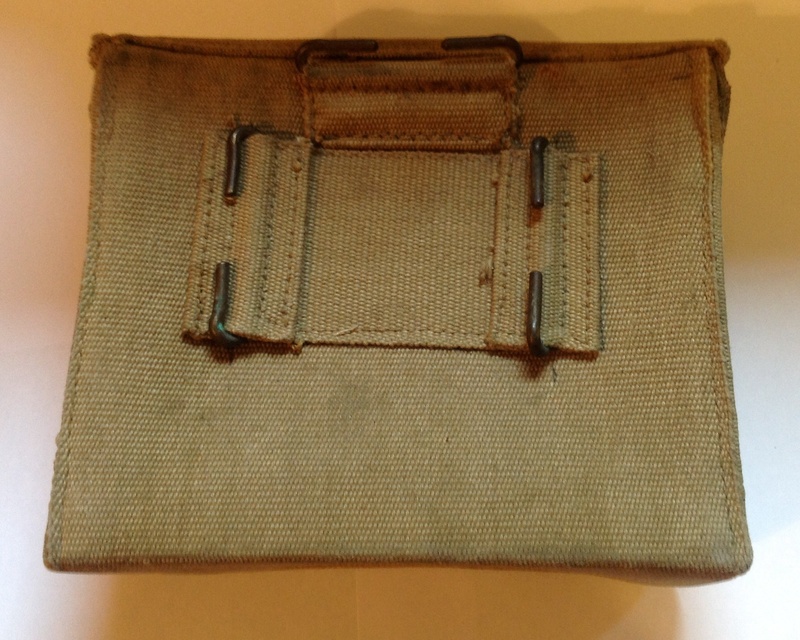 The two buckles on the sides of the case indicates its a second pattern case, as the buckets allow a shoulder strap to be attached so the case can be slung over the shoulder. 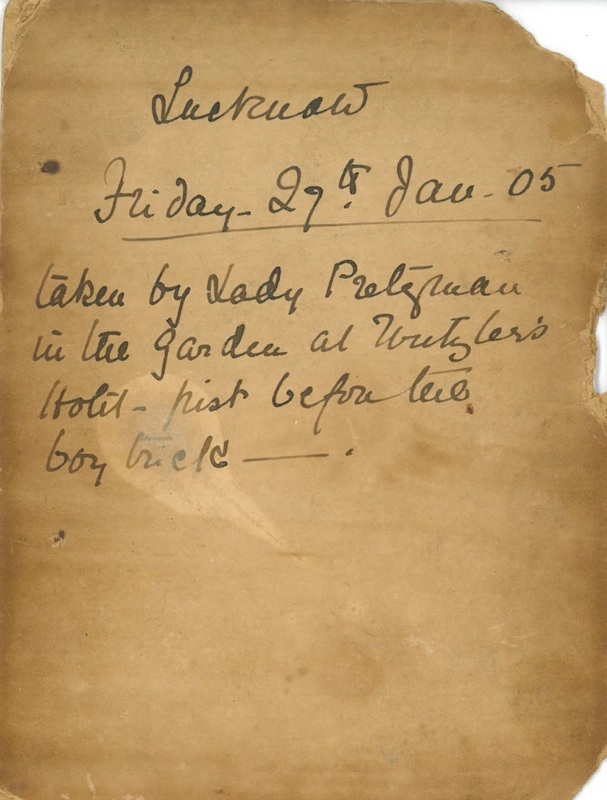 This entry was posted in Binoculars, British Army, equipment, Webbing and tagged British Binoculars on September 20, 2014 by hatchfive. 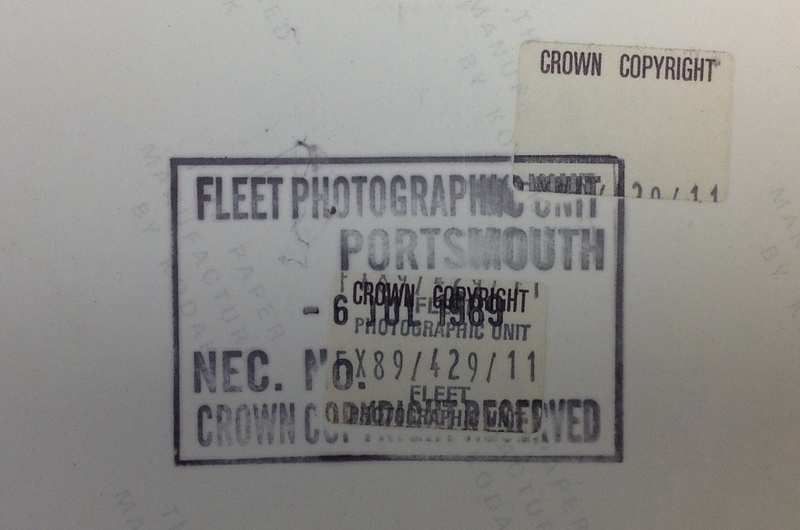 Today has been, pleasingly, a day or Royal Navy finds. The second hand market is very much a case of pot luck, and I seem to find Army and Air Force items far more easily than I do RN ones so any day with naval finds is a good one! Since the First World War all Royal Naval ships have had a ships crest or badge. 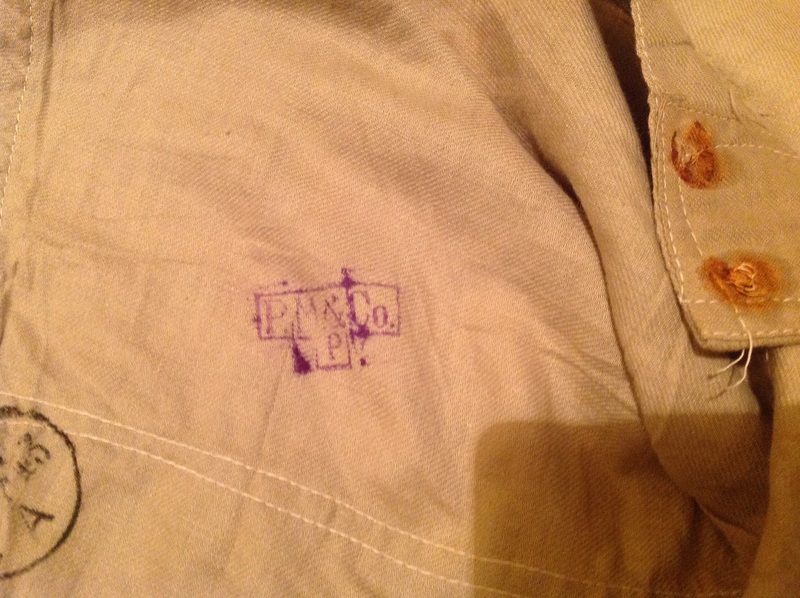 This is usually a pictorial badge representing the ship’s name in varying degrees of obviousness. The actual badge on the ship is normally made of cast metal and is quite large, however smaller plaster replicas are produced to be given on behalf of the ship to various affiliates, dignitaries and fellow units. Go into most RN and RNR establishments and the walls of the bar are decorated with different ship’s badges. 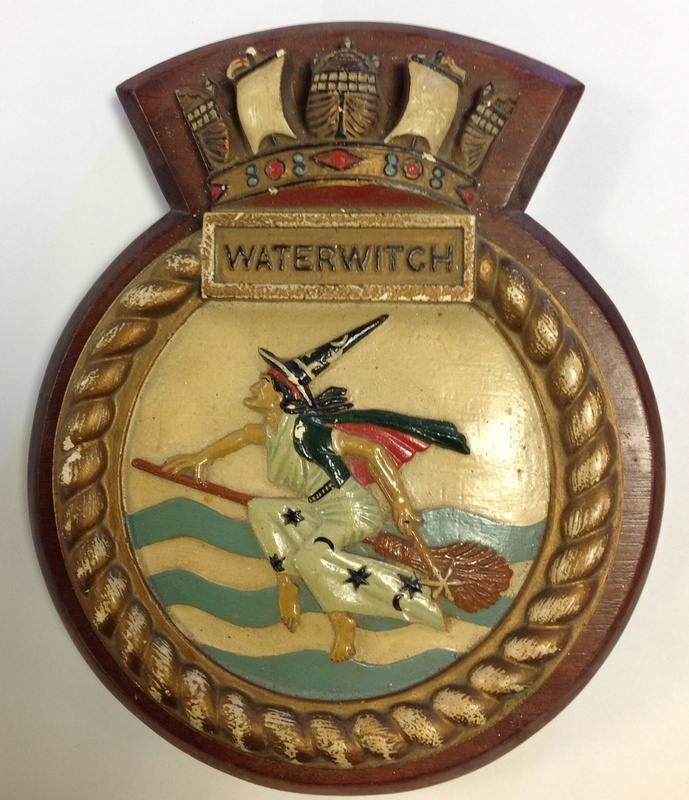 Originally called HMS Powderham, Waterwitch was an inshore survey vessel. She was converted from a minesweeper in 1960 and was in service until 1986, including some time attached to Liverpool URNU. HMS Endurance was an ice patrol vessel in use from 1967-1991. Originally the Danish Anita Dan she was purchased by the Royal Navy and used in the Antarctic. 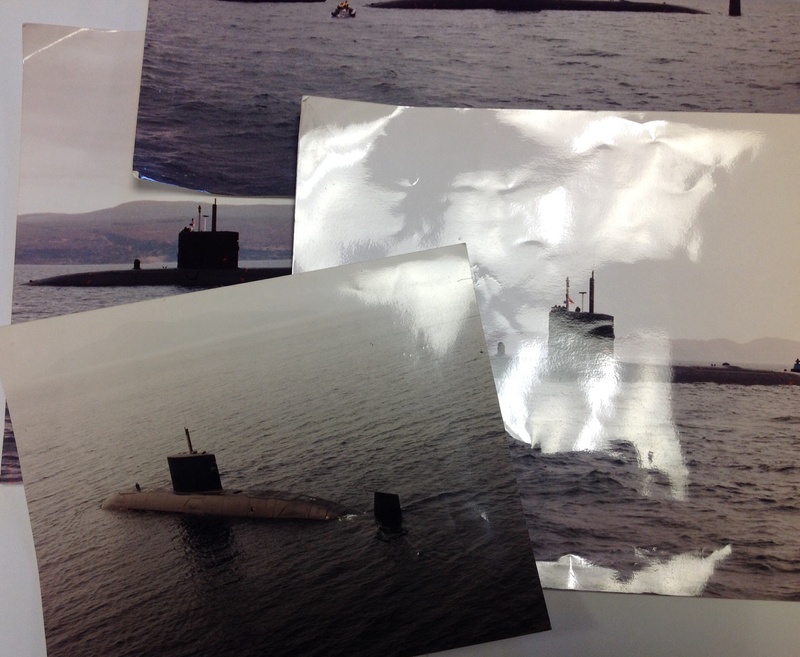 She had an eventful twilight career, including being heavily involved in the opening stages of the Falklands war, two wasp helicopters form HMS Endurance were involved in putting the Argentinean submarine Santa Fe out of action. 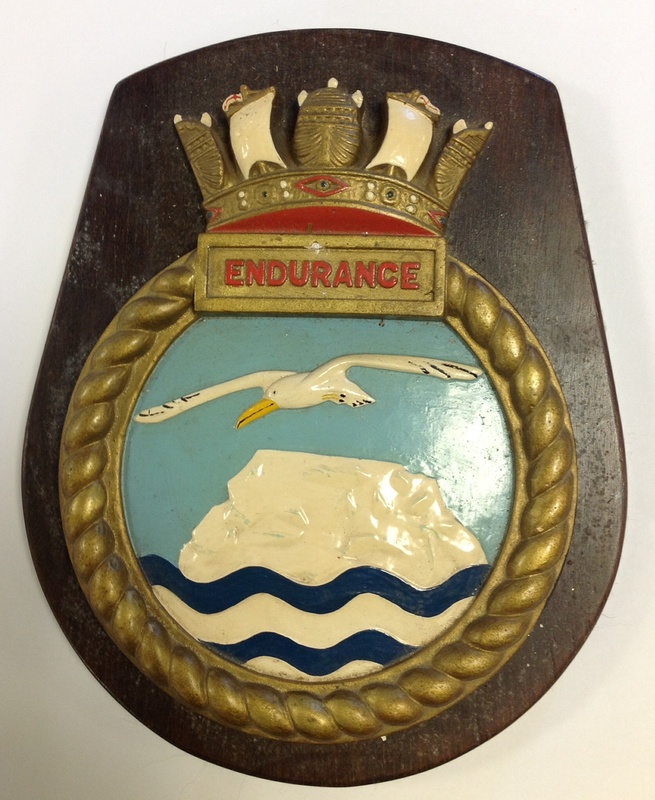 The badge depicts an albatross, a bird renowned for its long endurance flights, over an iceberg indicating the ships purpose. 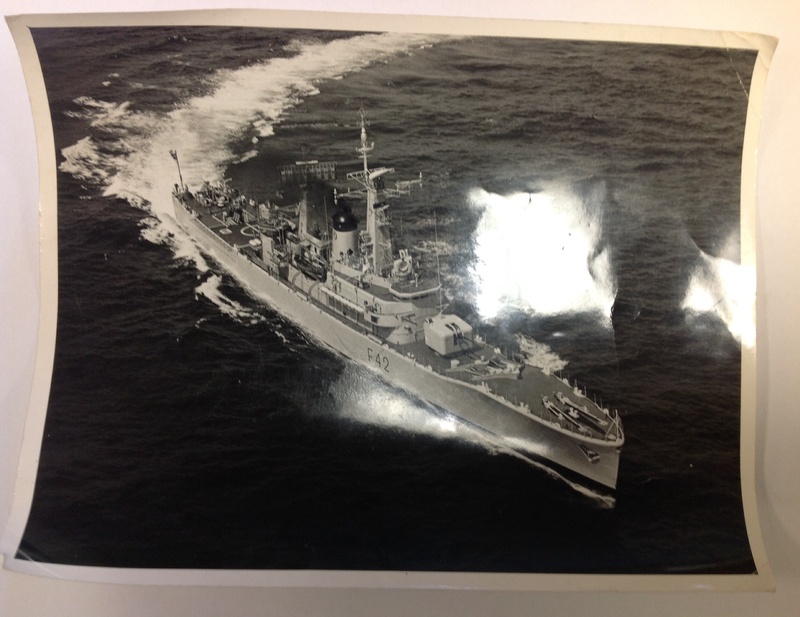 HMS Fawn was a bulldog class hydrographic survey vessel that served with the RN from 1968 to 1991. 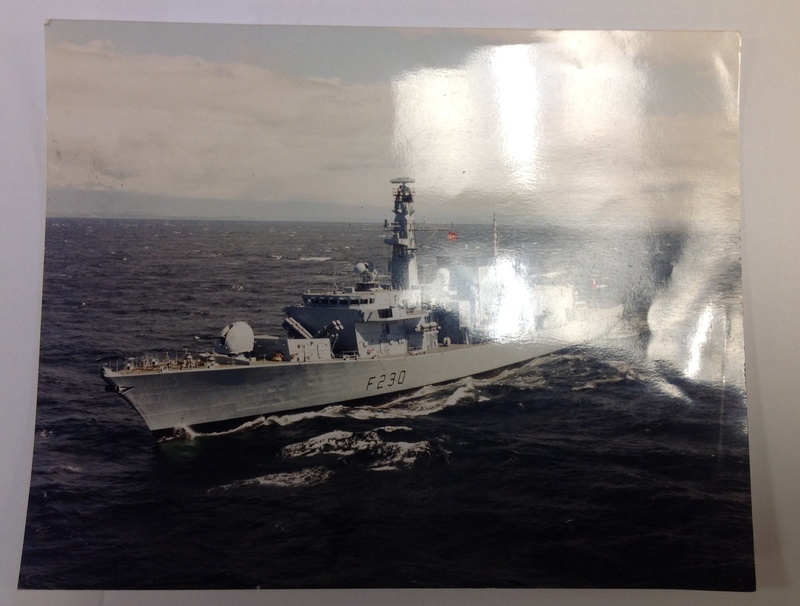 Although the class was designed for service overseas, with the discovery of North Sea oil the ship and her sisters spent much of their time surveying the British coast. 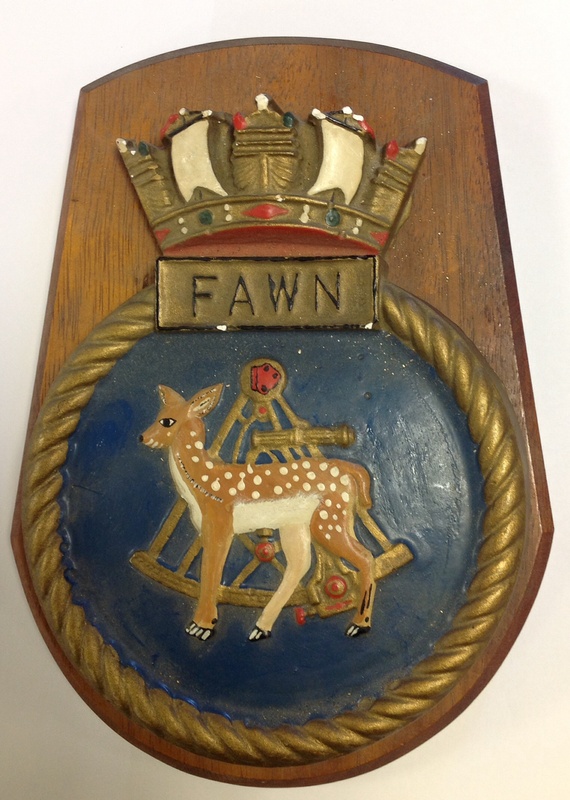 The ships badge depicts the eponymous fawn with a sextant, indicating the ships survey role, behind. 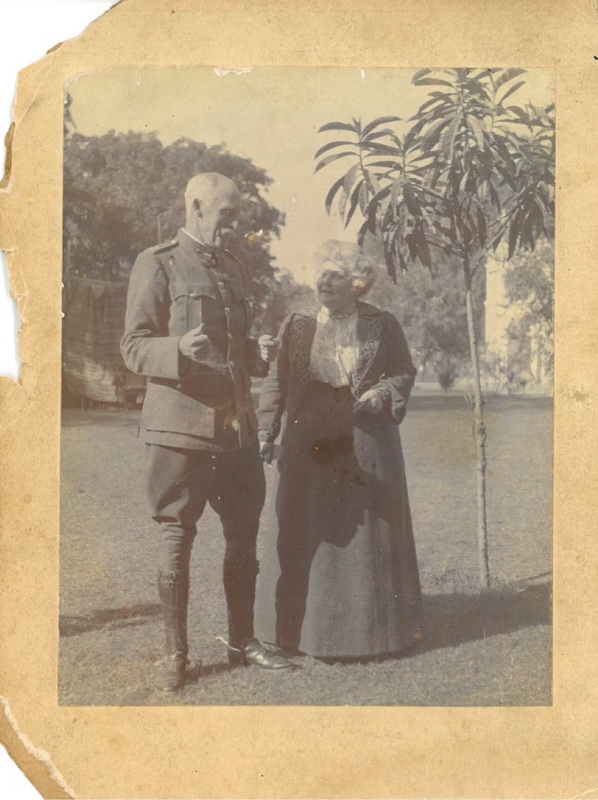 This picture has an official stamp and date on the reverse dating the picture to 1989. The red ensign on the rear of the ship suggests the picture was taken whilst she was on her trials before she was commission into the RN. 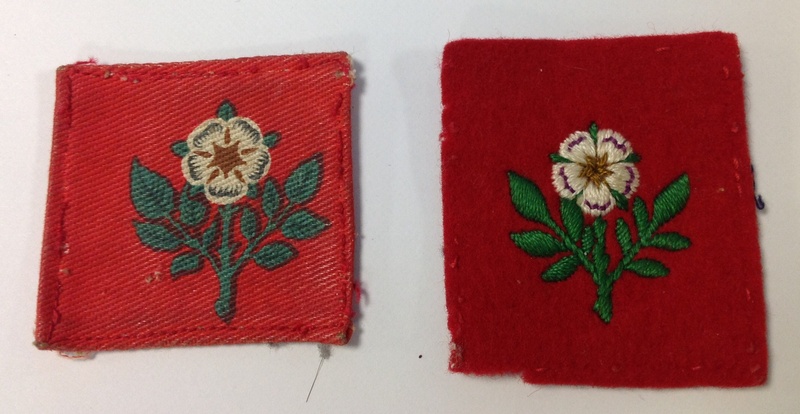 The badge is similar in all respects, other than that the colour of the rose is white rather than red, with the sign of the 55th West Lancashire Division of WW1 and 2, itself adopted by the post WW2 TA24 Engineer Group. The connection between the Division and the a Training Brigade is not clear. 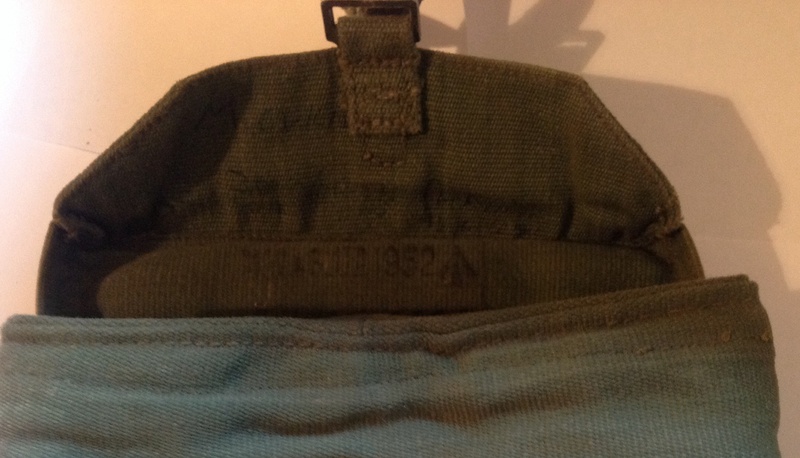 Cole states that the badge represents the preponderance of Yorkshire units in the group, which contained all the Yorkshire regiments (except KOYLI) and the Northumberland Fusileers…The signs were worn on the left arm only, below the unit shoulder title. 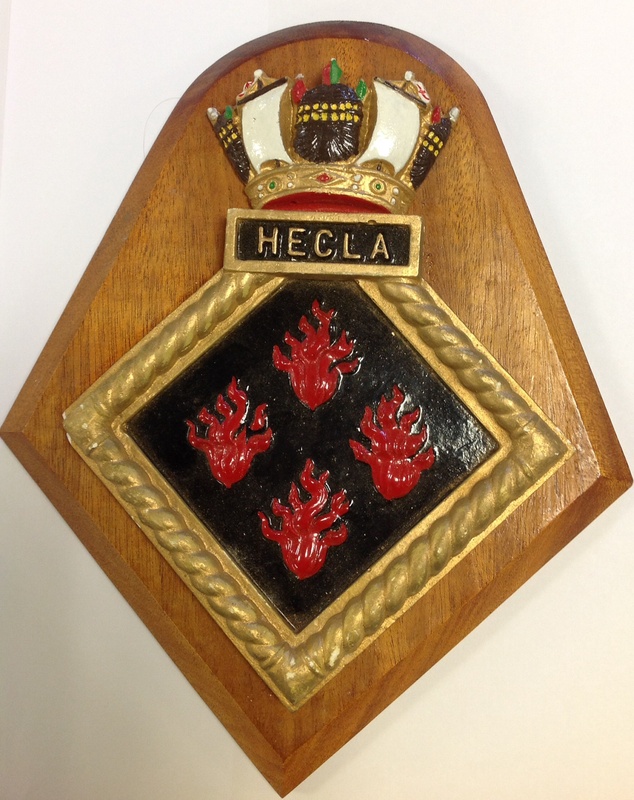 This entry was posted in Badge, Latest Pick Ups, Personal Kit, Photograph, Royal Navy, Uncategorized and tagged HMS Endurance, HMS Hecla, HMS Waterwitch, Royal Navy on September 16, 2014 by hatchfive. 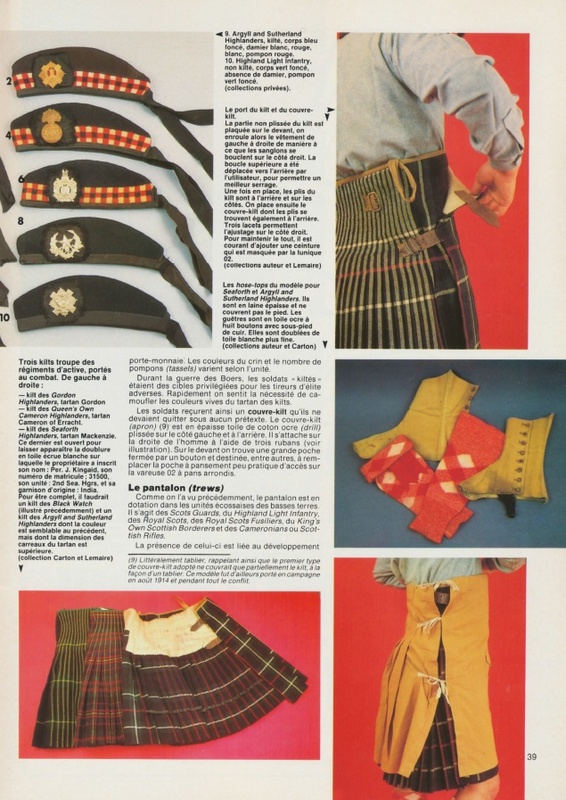 It is a frustrating fact that what is in my opinion the best guide to twentieth century militaria is in French. 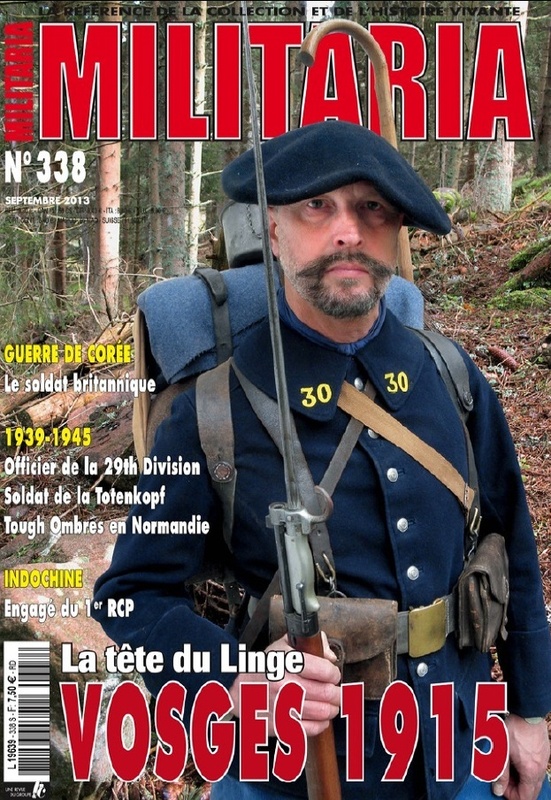 For those of you who have not come across it Armes Militaria is a monthly French magazine with articles and reconstructions of military equipment from around the world and across the twentieth century. 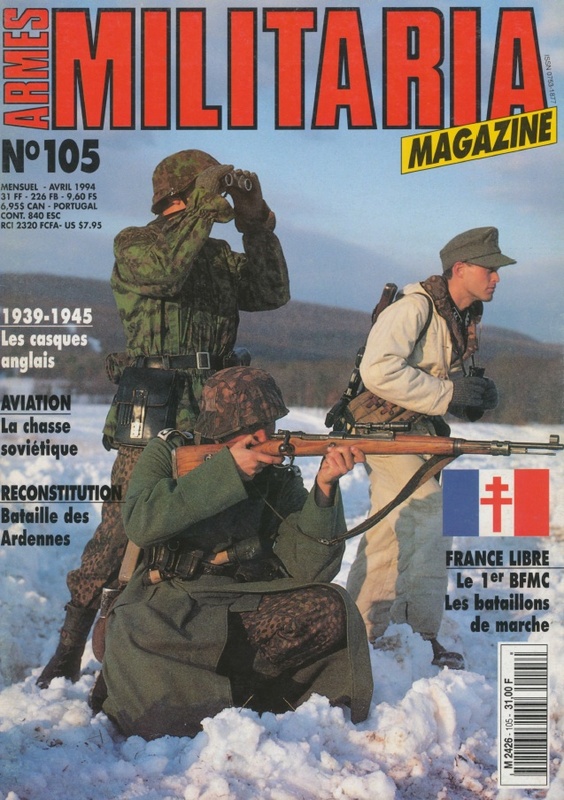 Whilst there is French focus (naturally) every month there seems to be at least one article on the British Army (and Empire), the German Army and the USA. 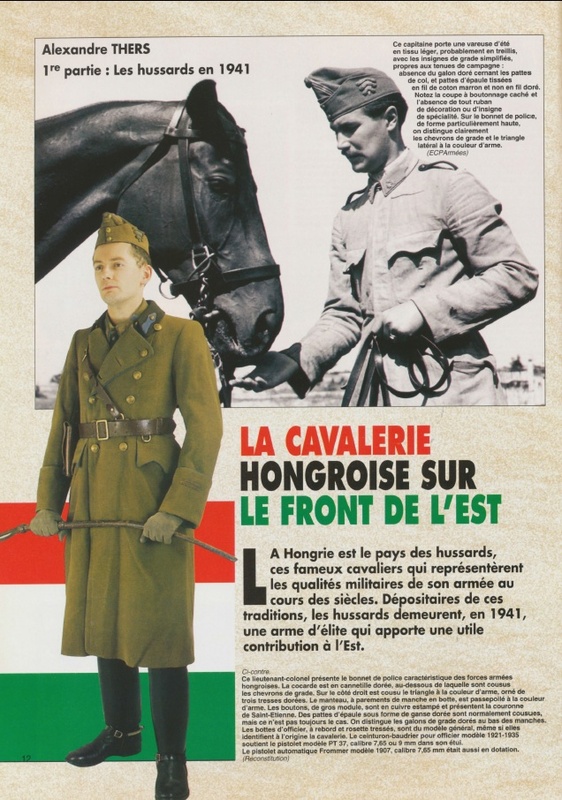 There are also regular articles on other minor players- the Brazilian Army in Italy in WW2, Vietnamese forces in the French Wars in Indochina and the Hungarian Cavalry on the Eastern Front. What makes the magazine special though are the detailed photos of actual artefacts, both laid out in kit displays and being worn by live models. This is the strength of this particular magazine, because even if your French is rudimentary (I stopped doing French after the 3rd form at school) you can admire the photographs. If something takes my eye and I want to find out more, I type the text into an online translator and get back at least the gist of what the article is on about. This entry was posted in Research, Uncategorized on September 12, 2014 by hatchfive.